 The Food Robotics market research report analyzes global adoption trends, future growth potentials, key drivers, competitive outlook, restraints, opportunities, key challenges, market ecosystem, and value chain analysis. This report presents a detailed analysis, market sizing, and forecasting for the emerging segment within the Food Robotics market. The report is thoroughly segmented by product type, application, vertical, and region. The report also focuses on various regional markets for each of the segment within the Food Robotics market. The major regions include North America, Europe, APAC, MEA, and Latin America. This study includes the profiles of key players in the market and the strategies adopted by them to sustain in the competition. Recent developments and barriers of the market is expected to help emerging players to design their strategies in an effective manner. The study is expected to help key players in broadcast Food Robotics manufacturers to formulate and develop new strategies.